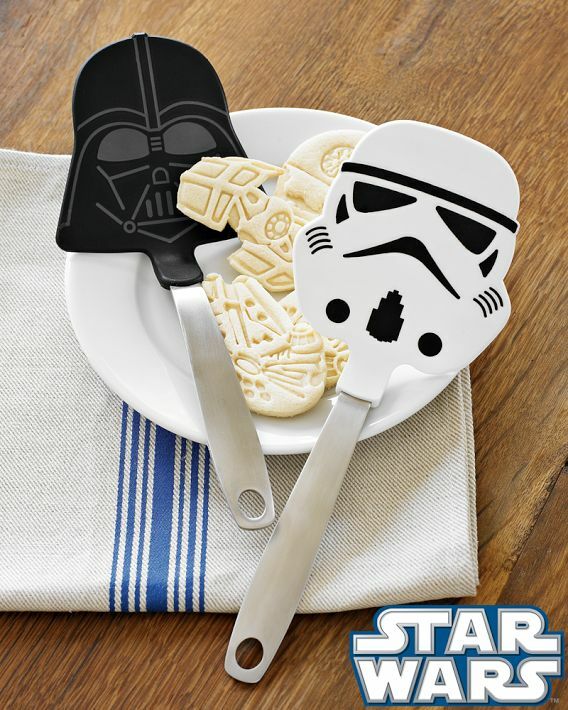 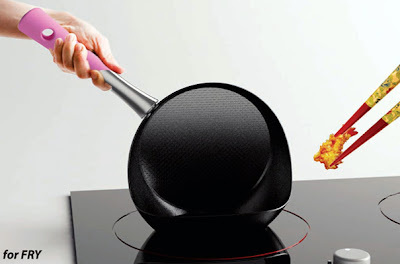 Collection of 'Creative Frying Pans and Cool Spatulas for your Kitchen' from all over the globe. 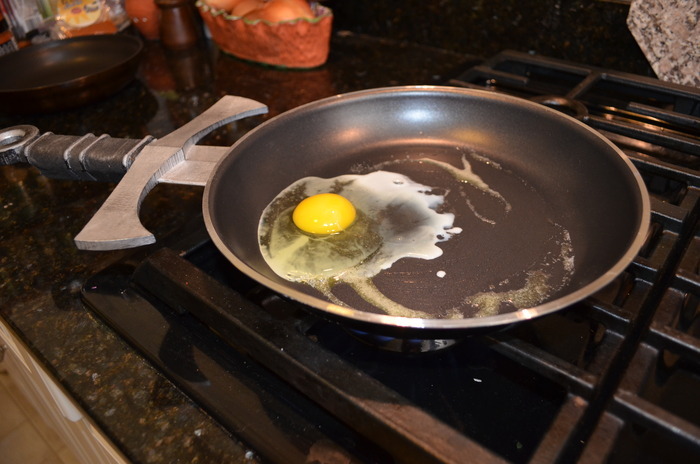 Frying Pans with Swordhandle: Creative frying pans designed by J Brown of Morlock Enterprises. Glass Frying Pans: These cool glass frying pans come from Corning Glass Works. 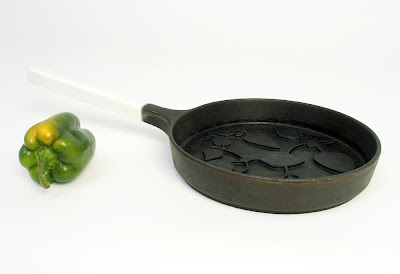 Vege Frying Pans: Designed by Mikko Laakkonen; they are made of cast iron and wood, and measure 27 cm in diameter. 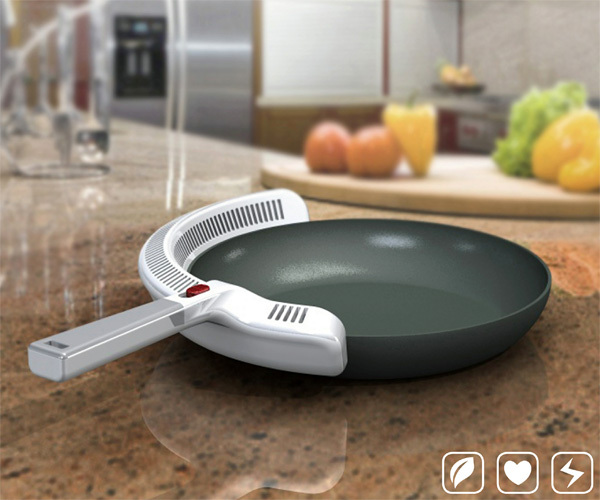 Purifi Pans: The Purifi Pans concept keeps your air aromafree. 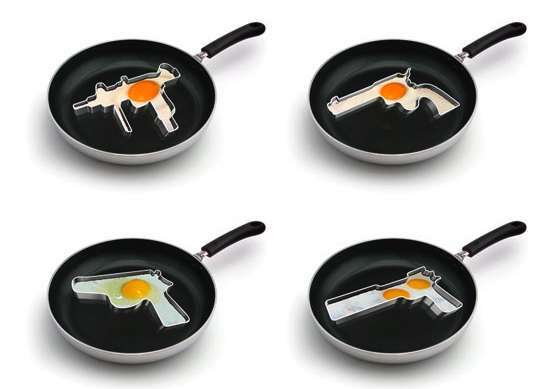 Cool Shaped Frying Pans: These special design frying pans creates your morning breakfast in a cool shape. 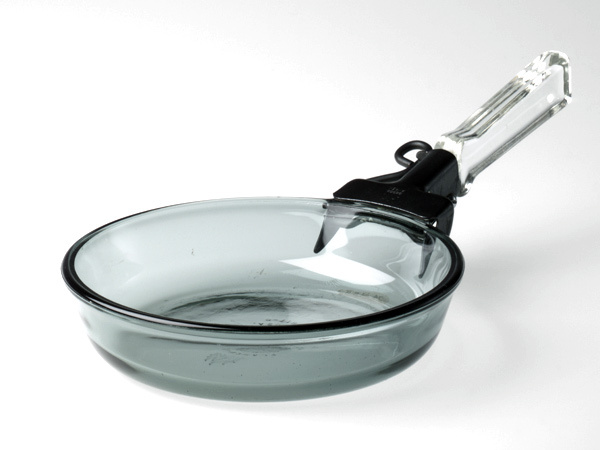 2 in 2 L Pans: Thes double-faced pans allow you to flip your pancakes or stir fry some veggies, shallow fry or cook and much more. 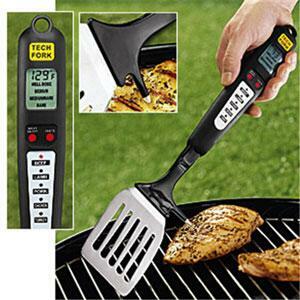 BBQ Spatula: This cool BBQ spatula has a built in meat-thermometer with a screen display for temperature. 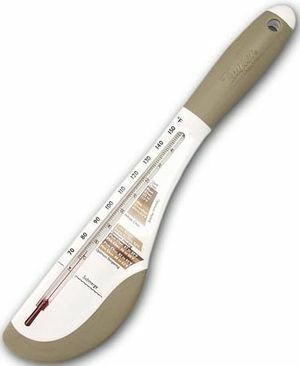 Chocolate Spatula Thermometer: This handy chocolate spatula thermometer comes with a chocolate-specific temperature guide. Mondrian Spatula: Inspired by the artwork of Mondrian, its designed by Karen Williams. 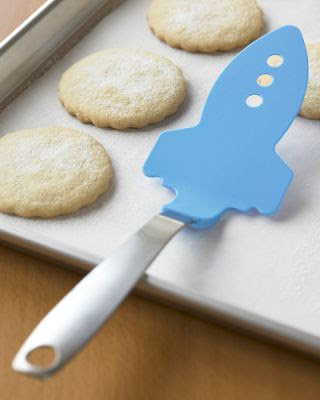 Rocket Flexible Spatula: This Rocket Flexible spatula is a great way to get your kids more interested in cooking. 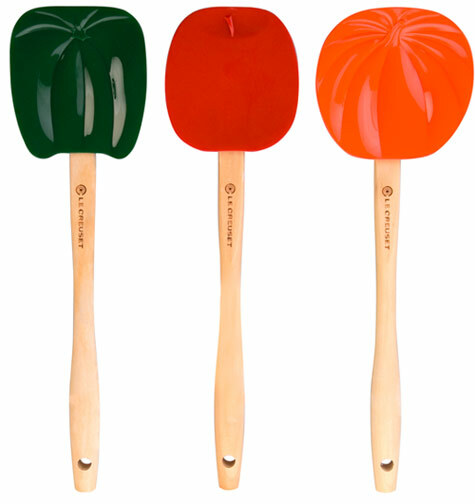 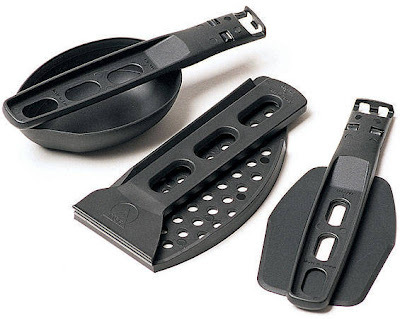 4-in-1 Spatula: This creative concept combines the functions of peeler, colander, masher and spatula into one single gadget. 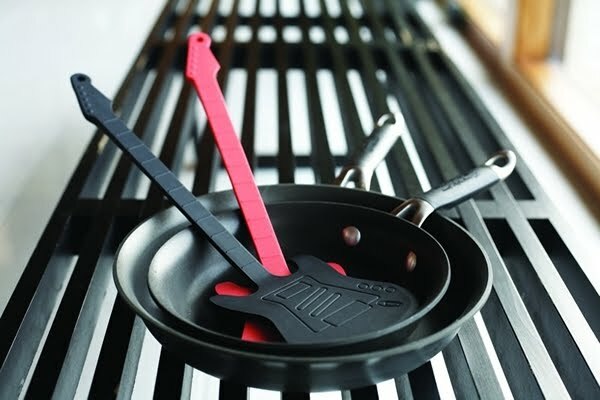 Guitar Spatula: Now cook breakfast in style without any stickiness using this cool non-stick flipper guitar spatula. 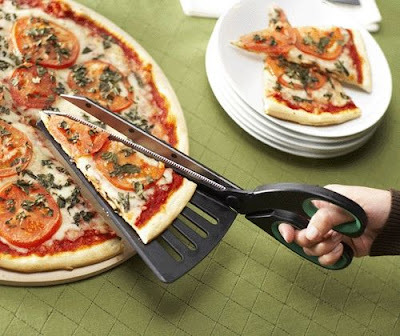 Spatula Pizza Cutter: This pizza cutter is a combination of a spatula and a pair of scissors. 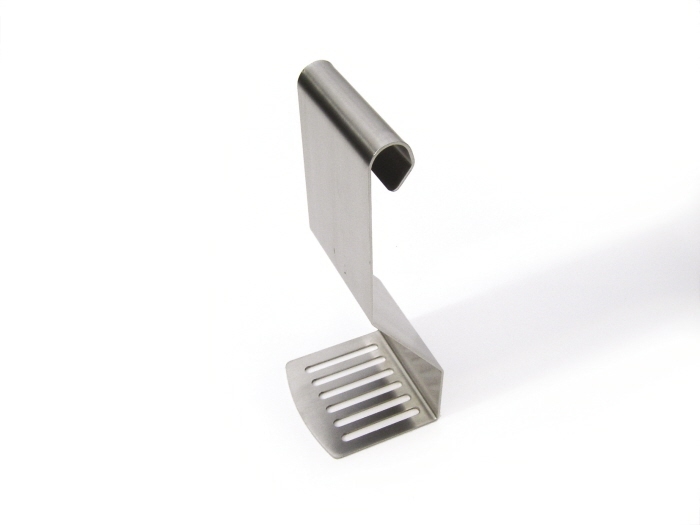 20 Clever and Creative Business Card Designs - Part 4. 15 Modern Tables and Creative Table Designs - Part 2. 12 Creative and Clever Insurance Advertisements - Part 2. 15 Creative Packaging and Cool Packaging Designs. 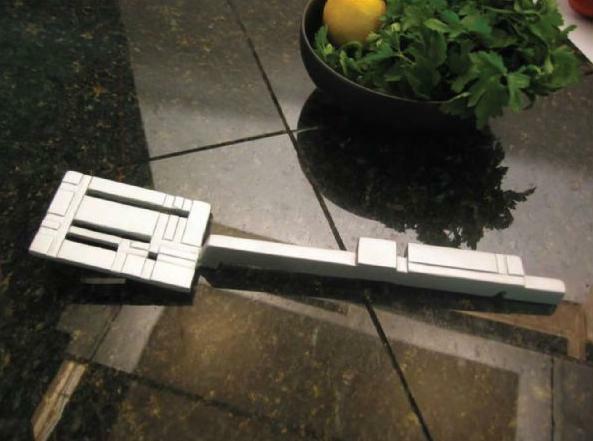 18 Creative and Unusual Xbox 360 Casemod Designs. 15 Clever and Creative Detergent Advertisements. 10 Creative Thermoses and Cool Thermos Designs. 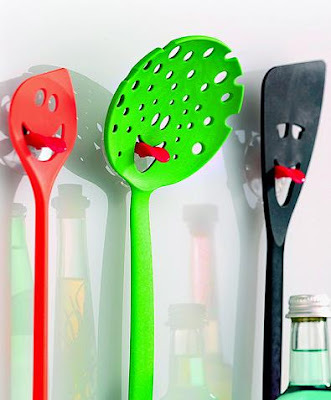 10 Creative and Cool Ways to Reuse Old VHS Tapes. Cool and Creative Creations from Watch Parts. 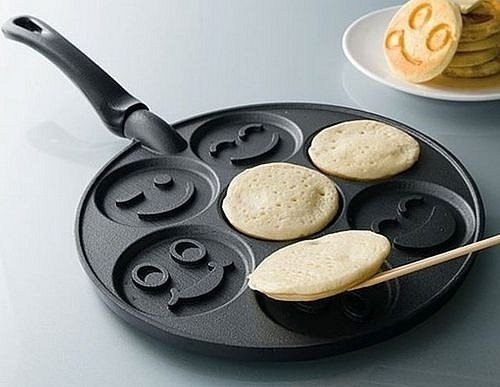 15 Creative Products and Gadgets for your iPhone. Creative Scooters and Cool Scooter Designs.